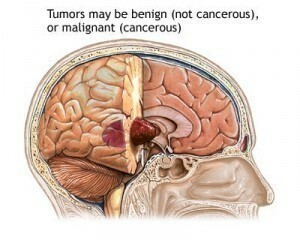 Brain tumor is a very difficult disease marked by severe pain. It is caused by the abnormal cell growth inside the skull or somewhere within the brain. It affects not only adults, but also children, teenagers and even infants. Some of the tumors affecting kids below two years of age are low-grade glioma, ependymoma and medulloblastoma. In infants, the most common tumors of the brain are atypical teratoid rhabdoid tumor and teratoma. In order to determine the impact of this chronic disease, knowing the different brain tumor symptoms can actually help a lot. Location and size are two determining factors of brain tumor signs. 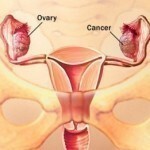 Major symptoms of large tumors include altered state of consciousness, vomiting with or without nausea and headaches. Additional symptoms of large tumors in the brain are papilledema and anisocoria. For people suffering from small tumors, intracranial pressure is one of the most common signs. Minor symptoms of this disease include double vision, facial paralysis and cognitive impairment. Other minor signs include visual field impairment, ataxia as well as behavioral impairment. When exhibiting early signs of brain tumor, it is always best to consult doctors right away. The diagnosis of brain tumor is highly important because it will help determine the possible causes, symptoms as well as corresponding treatments for this kind of health problem. Always act right away particularly when exhibiting signs such as epileptic seizures without prior history, severe intracranial pressure and other neurologic signs. 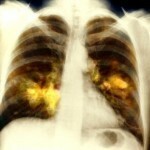 Different kinds of imaging methods are crucial in the success of diagnosis. The common procedures used for this medical condition include invasive methods like cerebral angiography and pneumoencephalography. Aside from these, there are also non-invasive procedures available such as magnetic resonance imaging and computed tomography. Aside from these diagnostic procedures, other options are still available including electroencephalography, which is one of the most common types of electrophysiological exams. Neurofibromatosis and histological exam of tumor tissues can also help in identifying the real causes of this serious medical condition. With the help of surgery, physicians can easily remove tumors, excluding those found somewhere close to the base of the skull. In difficult cases, they can use any of the different kinds of stereotactic surgeries including Novalis Tx radiosurgery, Cyberknife or Gamma knife. 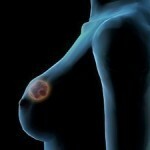 For malignant tumors, some of the top treatment options include chemotherapy and postoperative radiotherapy. In many cases, patients undergo a highly effective procedure called cytoreduction, the purpose of which is to reduce or minimize the proliferation of cancer cells.